In honor of May being National Arthritis Awareness Month, we want to remind you that pain relief doesn’t have to come from Advil, Tylenol, and Aleve. Nature provides us with the best in anti-inflammatory pain killers! 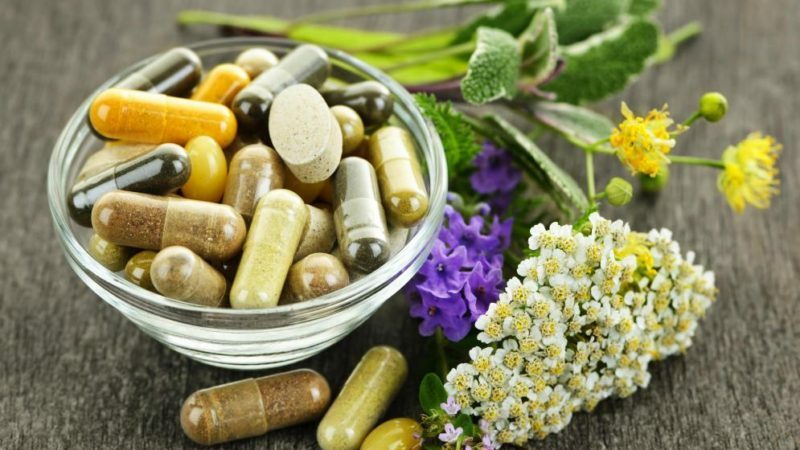 Thank you to Elissa Goodman for this wonderful list 8 natural alternatives to over-the-counter pain medications that won’t negatively impact you or your pocketbook! We’ve been invested in pain management since the beginning of time. If you’ve ever stopped to think about what life was like before Advil, Tylenol, and Aleve you would have found electric eels, willow bark, and a variety of herbs and opiates. 1.Turmeric can protect the body from tissue degeneration, joint inflammation, and nerve cell damage. In addition to pain relieve, turmeric speeds up digestion and is a well known anti-inflammatory for achy joints. As little as 1 tablespoon a day or 2-3 inches of juiced turmeric per day is all you need. Or, get a super-sized dose by taking a turmeric supplement (look for 95% curcuminoids paired with black pepper). 2.Job’s Tears is a gluten free whole grain that looks and cooks like barley and it’s as versatile in soups and salads as it is for treating arthritis and allergies. Studies have found that extracts from the plant suppressed allergic reactions in mice and boosted their immune system. Its anti-inflammatory benefits benefit arthritis sufferers while also reducing muscle spams. For optimum therapeutic benefits from it must become part of your daily diet for a period of at least 2-3 months. 3.Peppermint is much more than a breath refresh. The menthol in peppermint is effective for treating irritable bowel syndrome, the oil can be rubbed on your temple to relieve headaches, and chewing on it or drinking peppermint tea can prevent muscle spasms. In particular, wintergreen leaves contain a pain fighting compound called methyl salicylate blocks the enzymes that cause inflammation and pain. Add a squeeze of lemon to your tea to extract as many pain-reducing chemicals as possible. 4.Sour Cherry Juice is clinically proven to decrease uric acid crystals in the joints, which makes it an amazing treatment for gout. Phytonutrients in cherries called anthocyanins are powerful antioxidants that work in two ways to relieve pain. They block inflammation and they inhibit pain enzymes, just like aspirin, naproxen, and other nonsteroidal anti-inflammatories. Drink 6-12 ozs/day with water & a touch of stevia. If you consume over 6 tsp. of sugar per day, you can dramatically increase your inflammation markers. That’s why you should choose sour cherry juice over sweet cherry juice, then simply sweeten your sour cherry juice with a few drops of stevia! 5.Cinnamon has a long tradition in medicine and can reduce inflammation, the root cause of pain. Cinnamon has been used to treat arthritis and has shown to be effective in combatting headaches, even migraines as well as common colds. The mixture of honey and cinnamon is touted for treatment of colds and flu, while cinnamon tea fights inflammation. 6. Dried Pineapple contains, Bromeline, a powerful enzyme that reduces swelling in the joints and intestinal tract and aids in digestion. Therapeutic doses of bromeline fight both inflammation and even certain types of tumore growth. Choose dried pineapple with no sugar coating, simply dehydrated pineapple, with the core intact as the core of the pineapple has the highest anti-inflammatory power. 7.Hemp Hearts are nutty and full of protein that will help satiate you until your next meal. In addition to Omega-3’s, hemp hearts are a great source of magnesium, which a critical source that switches off menstrual cramps, muscle cramps, and headaches. 3 tablespoons is a good amount to eat (or add to soups, salads, or smoothies) for noticeable benefit. 8.Ginger – One of the most anti-inflammatory spices known to man, this spicy root is a stomach soother and nausea fighter. Ginger provides similar benefit to aspirin, as an anti-inflammatory it fights headaches, arthritis pain, and general muscle aches and pains. Fresh ginger is always best or fresh-juiced ginger. Dice fresh ginger for a pin reducing tea or chop and add to soups and salads. Powdered ginger also works, add to water and make tea with it or find in supplement form. It is important to note that the standard American diet is inflammatory, including processed foods and excess sugars, nothing can replace changing your diet to eliminate processed foods and increase whole foods.